There are a variety of ways of getting to the Congress, and we would advise you to do some research and check out which works best for you. It will depend on factors such as where you are coming from, whether you intend to travel with others and whether you are wanting to do further travel in and around Ireland or the UK. For certain, wherever you are coming from, Limerick has fantastic international transport links and we very much look forward to seeing you at the Congress. 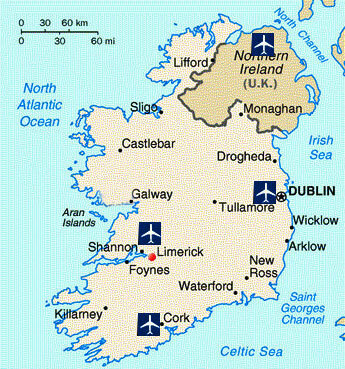 You can fly into Shannon, Dublin or Cork airports and then get transport to Limerick University. You can get a ferry (with or without a car) from the UK or France. Or you could combine modes of transport, for example by linking up your ferry journey with the train network. On this page you will find information to help you get started, with details and links for the various options. Transport information for travelling within Ireland is available from the Tourist Information 'Discover Ireland' website, here: www.discoverireland.ie/Info/Getting-Around. Please also visit the University of Limerick's website here for directions to the university. The best flight connections to and from the Congress are via Shannon airport which is only a twenty minute drive away from Limerick City or thirty minutes from the Congress venue. You can also fly into Dublin or Cork airports. Though a little further away from Limerick, they both have direct buses to Limerick City. See further details below. In fact there are direct buses from Dublin airport into the University of Limerick itself. The above list is subject to change for Summer 2015 but will give you some indication. For the latest information on routes see the Shannon Airport route map. For general information about Shannon Airport please visit www.shannonairport.ie. Further information about Cork Airport: www.corkairport.com. Destinations served from Cork are shown on the home page. 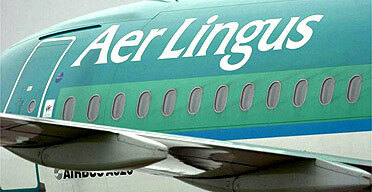 The third alternative is to fly into Dublin Airport, which is about 3.5 hours' drive from Limerick. Dublin aiport serves most countries in the world. Further information about Dublin Airport: www.dublinairport.com. For the latest information on routes see the Dublin Airport Destinations & Airlines page. The taxi fare from Shannon airport direct to the AT Congress 2015 campus is around €50 - please visit www.shannonairportcab.com for details. For bus information from the airports, please see below. For Shannon Airport car hire: www.shannonairport.ie/gns/Passengers/Go/car-rental.aspx. For Cork Airport car hire: www.corkairport.com/gns/to-from-the-airport/car-hire.aspx. For Dublin Airport car hire: www.dublinairport.com/gns/to-from-the-airport/car-rentals.aspx. 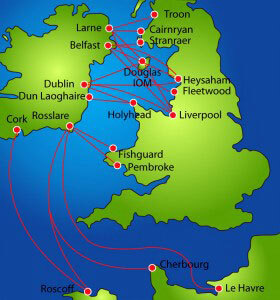 Ferry operators Stenaline and Irish Ferries serve Irish ports from the UK and France. The ferry services above all provide for bringing your car. You can get special fares when combining ferry and rail services from the UK via Dublin, Belfast or Rosslare. The nearest railway station to the University of Limerick is Limerick (Colbert) station, Parnell Street, a distance of about 5km from the Congress venue. There is a taxi rank at Parnell Street. 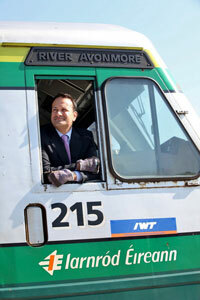 Direct train services operate from Limerick to Dublin and Galway, and to Cork and Waterford via Limerick Junction. Irish Rail (Iarnród Éireann) is the national railway service. See their website for timetables and tickets: www.irishrail.ie. Station and route maps are available here. From Limerick city - Take the Dublin Road out of the city and travel approximately 3km to the Parkway roundabout. Go straight through at this roundabout. At the next roundabout, turn left and follow the signs for the university. From Dublin/Nenagh - After the village of Annacotty, turn right at the first roundabout you meet as you approach Limerick (Sign for the National Technological Park). Follow the road for one mile through the Technological Park until you see the sign for the University entrance on your right. From Cork/Kerry - Before Patrickswell, take the Limerick exit off the Croom Bypass. Follow the ring road and take the exit for Limerick City. Turn right at the T junction and follow the signs for Dublin and the University. For up to the hour road conditions please visit the Irish AA page at www.theaa.ie/aa/aa-roadwatch.aspx. Bus Eireann and JJ Kavanagh both provide services to the University from around the country. Shannon Airport has an hourly Bus Éireann service to Limerick bus station which takes about 20 minutes (service 51 or X51), and from there you can catch a bus or taxi to the University of Limerick, which is only 3 miles from the city centre. For Bus Éireann timetables visit Bus Eireann Shannon routes. J J Kavanagh provides another (less frequent but direct) bus service (route 735) from Shannon Airport to the University of Limerick campus. Alight at the UL Campus Stables stop (this is a two-minute walk to the Congress registration). See timetable here. Cork airport has frequent buses to Limerick operated by Citylink and Buseireann. The journey time is about 1 hour 45 minutes. See http://getthere.ie/cork_airport-ul for details. Go to zone 14 of the airport coach and bus park. Dublin Coach N7 Express (every hour) to Red Cow Luas (20 minute journey). From there, take the Dublin Coach M7 Express service direct to the University of Limerick (every 30 to 60 minutes). JJ Kavanagh operates a direct but less frequent bus service to the University of Limerick (route 735). Alight at the stop 'UL Campus Stables', which is a two-minute walk to Congress registration. See timetable here (scroll down to second page). Citylink (Eireagle) operates a service to Limerick city every two hours or so - see timetable here. You might also find this information useful: http://getthere.ie/dublin_airport-ul/. The Dublin Coach M7 Express service goes from Westmoreland Street direct to the University of Limerick (every 30 to 60 minutes). You may find the Dublin Coach journey planner useful: www.dublincoach.ie/services/dublin-coach-journey-planner.php. Local taxi companies include Castletroy Cabs. For a list of local taxi companies visit www.limerick.ie/visiting/visitorinformation/gettingaround/taxi/. For smartphone users download the swifty taxi or Hailo app for fast access to booking a taxi in Limerick.